29th Golden Rooster Awards The "Spring Festival Gala Express" contest sees performers compete for the chance to appear in CCTV’s Spring Festival Gala, the most watched variety show in the world with last year’s gala attracted over 700 million audiences. A child prodigy performing traditional tunes, a powerhouse songstress singing her heart out, a group of percussionists with unusual instruments. The message is loud and clear: "I want to make it to the Spring Festival gala!" 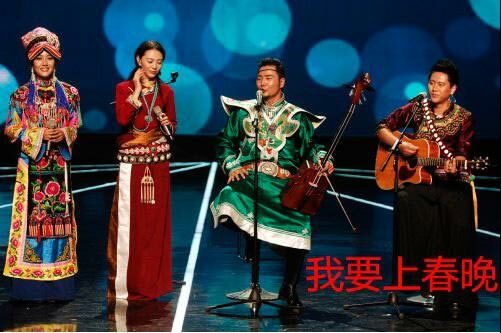 This group consists of 4 singers from different ethnic groups but they make harmonious music. Their unique sound even got one of the judges on his feet to dance to the music. They won one of the coveted spots in the 2014 Spring Festival Gala. "As a singer, we all have different sounds and tones. But we bring all of our different ethnic elements together in to our performance. I think it really worked," said "Ajitai", singing group.